I find it more consistent to have a same color everywhere instead of the blue/green default. Even the logos and icons are changed to fit with the proper accent color. You also have the option to have a light version of the theme. Just read and follow instructions HERE for both, stable and beta releases. Note that I'm not using Live TV and this section might not be perfect and/or completed. Edited by Ben Z, 27 August 2018 - 10:59 AM. I modified my orignal post. Is it possible to change the title of this thread for "Dark Theme and colored highlights" for me please? Also, I have to fix something on this theme. I don't know how to do it. Maybe someone can help? Since Emby Version 3.0.5882.0, there is a kind of white footer on the active device blocks in the server dashboard page (see attached picture). How can I change the color of it please? I tried several things but it didn't work sadly. Edited by benjidave, 08 March 2016 - 02:21 AM. 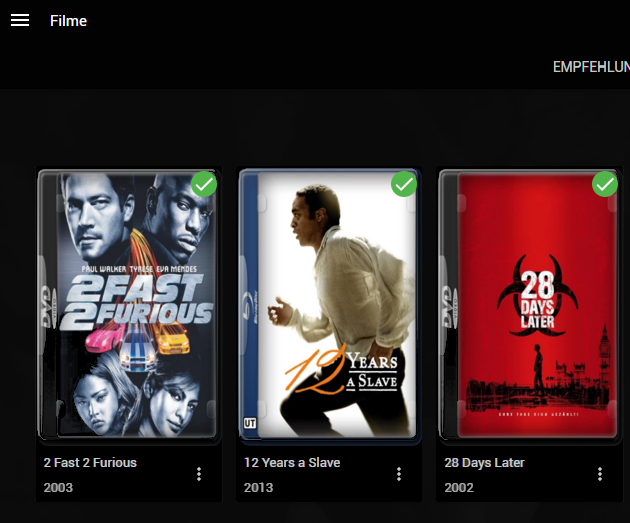 Had to added to "2.1 : Home page & Library" to add accent color for Channel items. You mean section "1.2 : Details" --> "Home Page & Library"? Thanks. The table of contents says "2.1 : Home page & Library"
There are two "Home Page & Library" sections. The one under section 2.1 is for removed elements. The good one is under section 1.2. Anyway, not a big deal I guess. 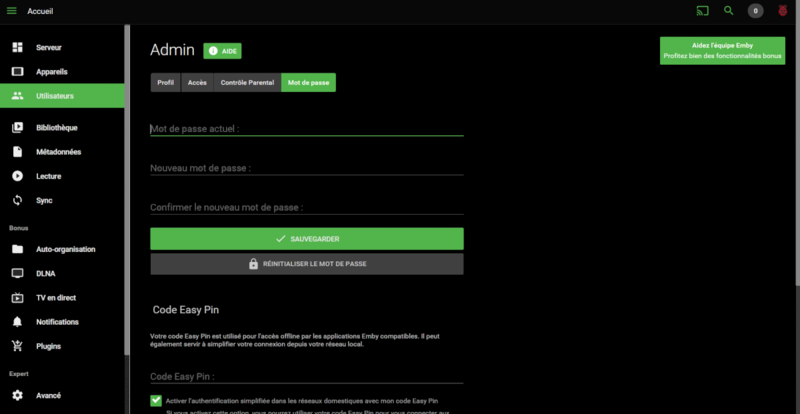 Is it possible for you to create a real black theme @benjidave if you have time? Loving the green version currently using! Well done! What do you mean? Having black as accent color? Perhaps with transparent background cards for the titles in the different library views. Edited by shorty1483, 10 March 2016 - 01:27 PM. Since you mentioned that, I realised I forgot to change the background cards for music lists to transparent, thank you for that! I'm afraid I could not change the background cards for titles as you asked (I'm kinda not too familiar to that). I tried few things but it didn't work. Besides that, I think I did what you're looking for (see .txt file). Edited by benjidave, 10 March 2016 - 10:43 PM. Which part of the css describes the background e.g. in library or Home view. I want to make it al lil bit transparent to see the fanart. It comes back to default, which is good in my opinion. If you don't like the gray opacity, you'll have to find the correct html elements because changing the opacity of these didn't work and I don't have much time for this right now. You referring to this? I use this to make backdrops more visible. Edited by Happy2Play, 11 March 2016 - 02:48 PM. That's pretty much what he wants but I think he also wants to keep the Home library background to black everywhere else where you don't have a fanart at the same time. I don't know how.